ACR89 is one of ACS's strong line of Smart Card Readers with PIN-Pad. 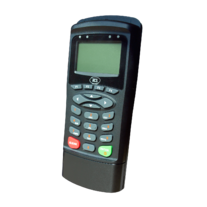 An upgrade from the ACR88 PIN-Pad Reader, it offers better performance, longer battery life, and lower energy consumption, at a lower cost. This versatile handheld smart card reader runs a 32-bit MCU. 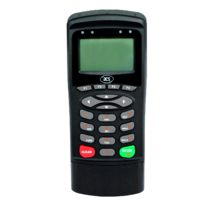 It has built-in keypad, 128 x 64 high-resolution graphical LCD, LED indicators, buzzer, rechargeable battery and large programmable memory. Through these features, ACR89 enables users to perform secure smart card transactions in both office and field environments. ACR89 provides the unique advantage of having two modes –PC-linked and Standalone– to cater to unique user requirements. For its PC-linked mode, it connects to the PC via its USB cable; while for its Standalone mode, it uses its Lithium-ion Battery to run wirelessly. It also comes with a serial Interface port that enables connection to other peripherals. ACR89 can support dual interface applications. 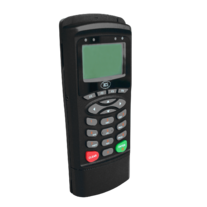 It has access to contact cards, and can also be customized to support contactless cards upon request. Likewise, it can be customized to include a thermal printer to provide an optimal solution for multi-purpose applications.